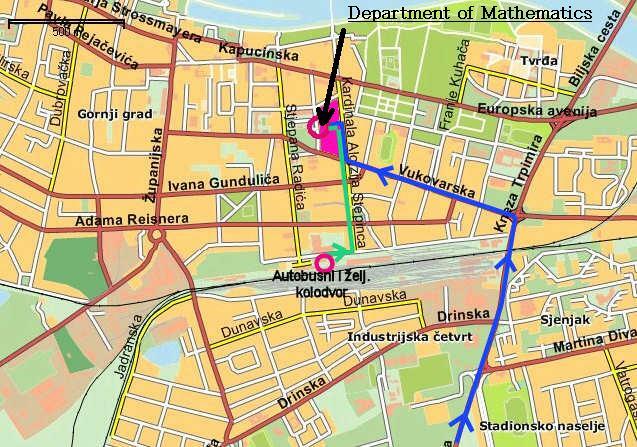 Welcome to the official site of the 4th Croatian Mathematical Congress (CroMC), to be held on June 17-20, 2008, at the Department of Mathematics, University of Osijek, Croatia, which is located in the very center of Osijek (see map, see digital map of Osijek). The Congress will have an international component, and it is open to all areas of mathematics. 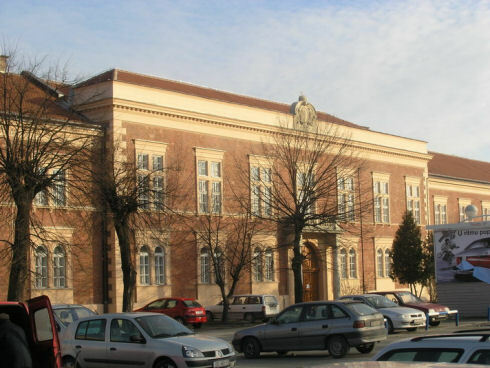 The program includes	Plenary Lectures, Croatian Mathematical Society award lecture, parallel sessions and posters. The parallel sessions include invited lectures and	contributed talks selected by the Scientific Committee. This site is still under development and will be implemented as soon as possible. So we hope you will visit this site regularly to keep up to date with the developments of the organization of the CroMC 2008. We are looking forward to having you here. Welcome to our site and see you in Osijek! Some lectures held in Room 1 can be seen here. If you have any questions, please send your e-mail to congress2008@mathos.hr.